Cats are notoriously sensitive when it comes to medication. With all the potential side effects of pharmaceuticals, it is no wonder so many kitty parents search for holistic alternatives. The cannabis extract CBD is gaining popularity for use in both humans and pets as a natural way to cope with pain, anxiety, and the symptoms of certain illnesses. But is it safe to give cats CBD oil? Dr. Daniel Inman is a veterinarian at Burlington Emergency Veterinary Specialists in Williston, Vermont. 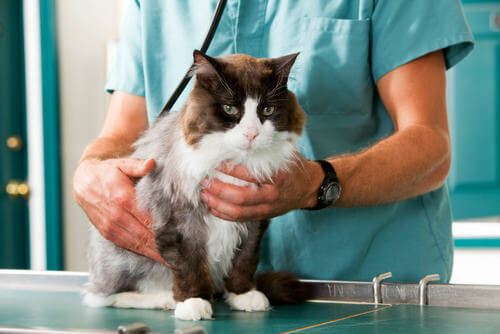 He notes that CBD is becoming increasingly popular among holistic veterinarians “to treat a variety of ailments, including inflammation, anxiety and pain” in their feline patients. Inman is careful to point out that CBD oil is intended to increase comfort and improve quality of life in pets, not “cure” underlying disease. 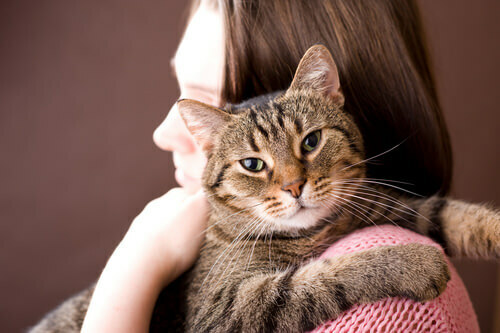 He recommends consulting your veterinarian before starting CBD or any other natural treatment with your cat. Cannabidiol (CBD) is one of dozens of compounds called cannabinoids found within marijuana and hemp. Both plants are varieties of the species, Cannabis sativa. However, the concentrations of their medicinal cannabinoids vary greatly. Marijuana is very high in the psychoactive cannabinoid, tetrahydrocannabinol (THC) and relatively low in CBD. Hemp, marijuana’s safer cousin, is rich in CBD and contains only trace amounts of THC at most. Hemp has many of the therapeutic benefits of marijuana and none of the mind-altering characteristics, making it the safer choice for pets. CBD is extracted from the hemp plant and isolated to create the tincture commonly known as CBD oil. Unlike medicinal marijuana, CBD oils cannot make your cat “high” as most contain only negligible amounts of THC. Some CBD oil retailers even utilize an additional step in their manufacturing process to ensure that every last bit of THC is removed from their products. Liquid CBD tinctures typically come in easy-to-dispense bottles with droppers for dosing. The palatable oil can be given directly by mouth or mixed in with your cat’s food. Most animals, including humans and cats, have something called an endocannabinoid system made up of specialized receptors throughout the central nervous system. These interconnected networks act as command centers for regulating body functions like pain, mood, sleep, appetite, and immunity. When cats ingest CBD oil, it opens up two-way communication between the endocannabinoid receptors and the rest of the body, helping to maintain healthy balance. So, is it safe to give cats CBD oil? The short answer is – Yes! Giving cats CBD oil is safe as long as you choose a hemp-based product free of THC and get approval from your veterinarian. Giving cats CBD oil has few potential side effects. Those that may occur are typically mild and easily remedied by reducing or discontinuing use of the product. Dr. Gary Richter, owner and medical director of Montclair Veterinary Hospital and Holistic Veterinary Care in Oakland, California lists the most common adverse effects as mild sedation and gastrointestinal upset. It is best to start off with a very small dose and over the course of a few weeks gradually increase the amount given to the suggested dosage or until you notice positive effects. 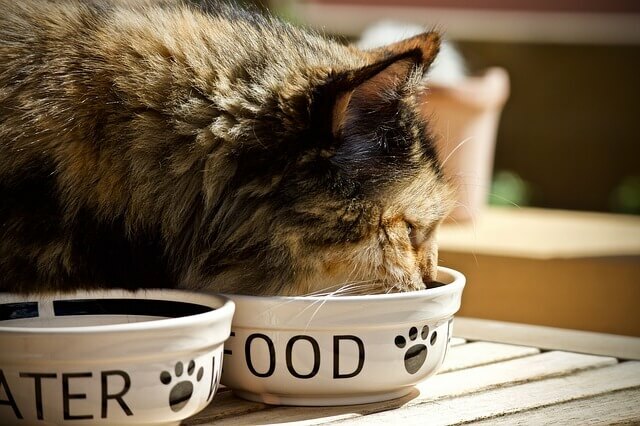 This will help your cat’s digestive system and body in general adjust slowly, which may reduce if not eliminate side effects. Which CBD oil should you choose for your cat? 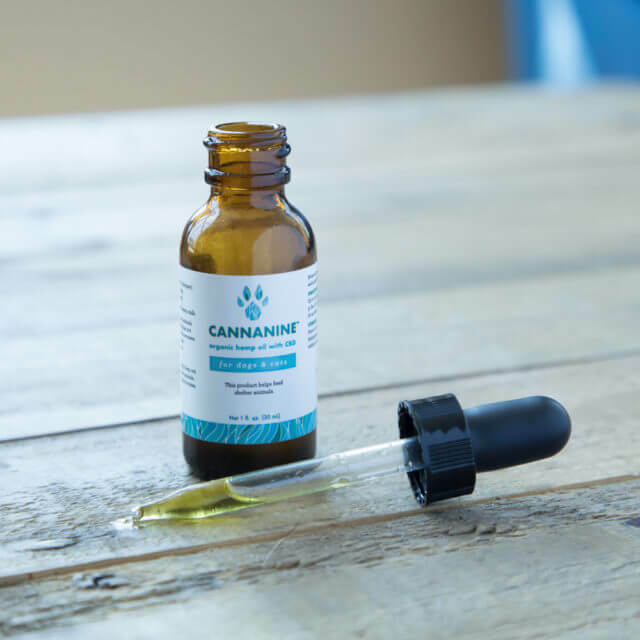 Unlike many CBD oils on the market, Cannanine™ Organic Hemp Oil was specifically created for the individual needs of cats and dogs. For this reason, it is one of the few CBD products on the market that is 100% free of THC. This also means Cannanine is legal in all 50 states. 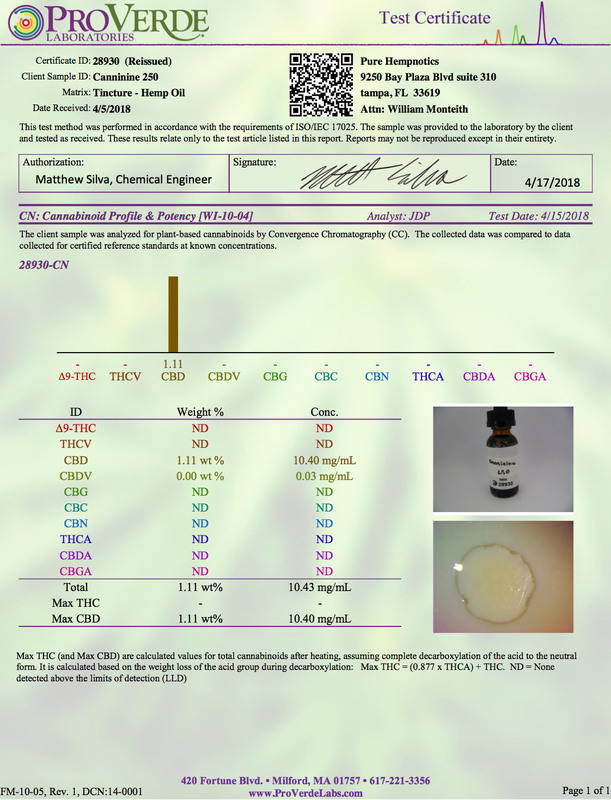 You can view the cannabinoid potency profile by clicking on Cannanine’s certificate of guaranteed analysis obtained from the analytical testing service, ProVerde Laboratories. In keeping with its focus on quality and safety, Cannanine is made from only human-grade ingredients including organically-grown Colorado hemp. It is free of potentially harmful bacteria, yeast, mold, heavy metals, and GMOs.